CMP 2017 Rules: Want to start shooting EIC? Buy a new rifle. The new rules are up for EIC for 2017. 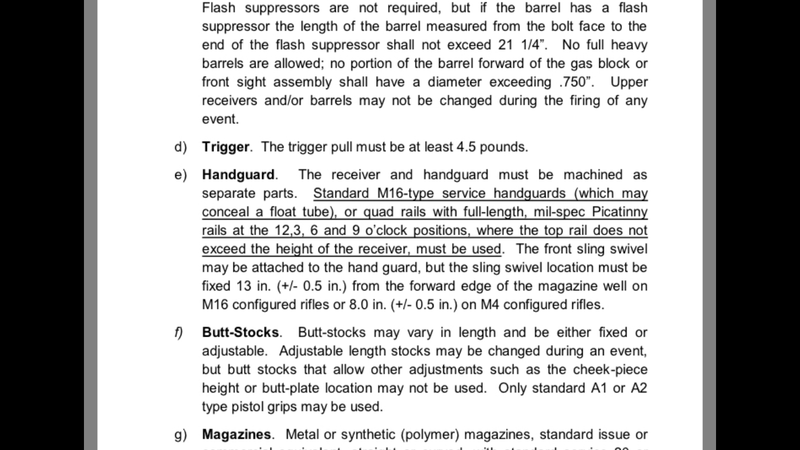 Of note CMP describes the new classifications and match rifles, presumably a shot across the bow of the NRA after their last minute location change of the NRA championships. Personally, I’m disappointed to see further restrictions placed on handguards. It seems now only quad rails or traditional A2 tubes will be permitted for service rifle. Under the old rules it was convenient to invite new shooters to EIC matches where they could “run what they have” with minimal modifications and cost, A2 grip and a 4x. It was win win, as they got to try out their gear to see how it held up to XTC and it helped get new people involved in the sport. This all might seem trivial however in the “AR community” quad rails are fairly uncommon these days, modular free floats such and Mlok and Keymod are all the rage. Under the new rules new shooters will need to find a quad rail or A2 tube, borrow a rifle, build an A4 or shoot out of competition. Because XTC wasn’t already intimidating enough? Good news, the A1/A2 grip rule hasn’t changed. So my sticker is still relavent. 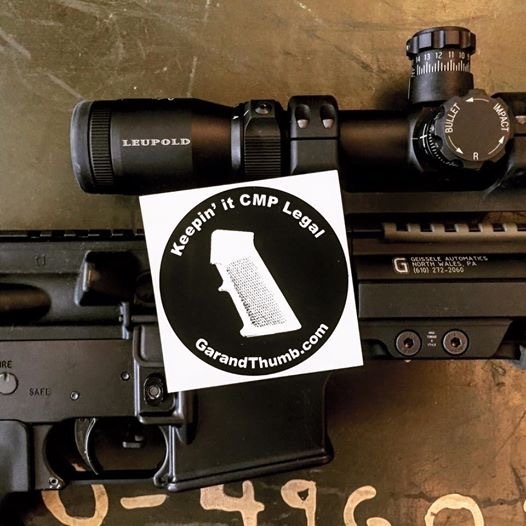 This entry was posted in A2, A4, Civilian Marksmanship Program Matches, EIC, Opinion, XTC and tagged cmp service rifle rules, servicerifle2017 by Finch. Bookmark the permalink.